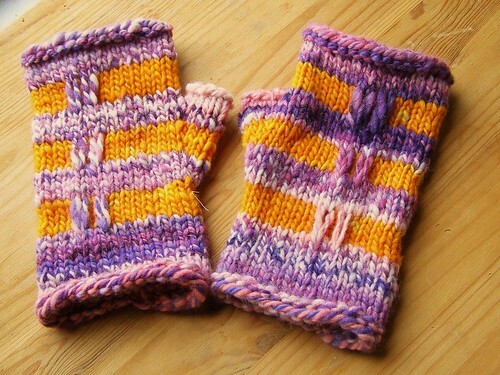 A playful fitted fingerless mitt pattern that uses elongated stitches to show off unique yarn. Sizes: s(m, l, xl), to fit around a 7(7.5, 8, 8.5) in. [17.8(19, 20.3, 21.6) cm] hand – Note that these are fitted mitts sized for women’s hands, for men’s sizes, work at a larger gauge.